"It shall be the continuous duty of the judicial council to survey and study the judicial branch of the state and recommend improvements in the administration of justice." K.S.A. 20-2203. This archive contains many of the studies and reports completed by the Judicial Council in recent years. Note: To view and print some of these documents you need special software, available for free at Adobe Acrobat® Reader™. Report of the Death Penalty Advisory Committee on 2009 SB 208 which would abolish the death penalty in Kansas (December 2009) The proposed re-draft of the bill 2010 SB 375 did not pass. Report of the Guardian Ad Litem Committee 2001 and the Appendix. Comments to 1991 SB 358 (amending the criminal code). Comments to 1990 Adoption and Relinquishment Act. The Judicial Council has drafted the following codes and acts: Probate Code, Civil Code, Criminal Code, Code of Criminal Procedure, Code for Care of Children, Juvenile Offenders Code, Administrative Procedure Act, Act for Judicial Review of Agency Actions, Municipal Court Code, Care and Treatment Act for Mentally Ill Persons, Care and Treatment Act for Persons with an Alcohol or Substance Abuse Problem, Guardianship and Conservatorship Act, Kansas False Claims Act, Kansas Uniform Trust Code, Parentage Act, Revised Divorce Code, Simplified Administration Act, Informal Administration Act, Adoption and Relinquishment Act, Protection from Abuse Act, Code of Procedure for Limited Actions, and the Kansas Power of Attorney Act. The Council has drafted and recommended numerous court rules, examples are: Uniform District Court Rules, Rules for Appellate Procedure (Drafted upon creation of the Court of Appeals), rules relating to continuing legal education, rules relating to destruction of court records, rules for admission, discipline and disbarment of attorneys, rules relating to divorce mediation, rules relating to docketing statements, rules relating to pleading liquidated damages, rules relating to facsimile filings, rule relating to electronic filing, rule relating to civil forfeiture, and rules relating to guardians ad litem. The Judicial Council has published a great deal of material for use by the bench and bar. The Kansas Judicial Council Bulletin has contained probate forms, care and treatment forms, guardianship and conservatorship forms, articles on homestead, quiet title, legislation, statistics and articles by Kansas Bar Association presidents on subjects of their own choosing. 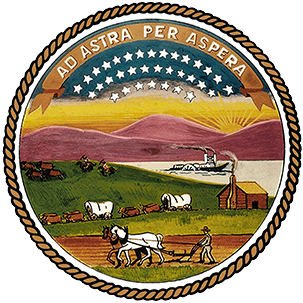 The Council has also published the Kansas Benchbook, three editions of PIK-Criminal, four editions of PIK-Civil, two editions of Kansas Municipal Court Manual, two editions of the Kansas Judicial Council Probate Forms, one edition (4th) of the Kansas Appellate Practice Handbook and numerous supplements to these books. The Council has conducted numerous studies over the years. Examples are: advisability of construction of a new supreme court building; judicial redistricting (three times); court unification; statewide delivery of legal services to indigent persons; gathering court statistics; sentencing; grand juries; need for expansion of court of appeals; government immunity; comparative fault; discovery; mortgage redemption; prejudgment interest; deadly force; strip searches; garnishment; six-person juries; frivolous claims and defenses; multi-district litigation; forum non conveniens; plea bargaining; sentencing guidelines; changing associate district judges to district judges; collateral source rule; less than unanimous jury verdicts; professional malpractice screening panels; surrogate motherhood; service of process by mail; the Uniform Marital Property Act; the Uniform Probate Code; and the Uniform Trust Code.